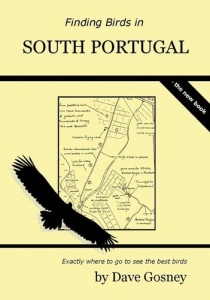 This book is a comprehensive update to the ever-popular Finding Birds in Southern Portugal. Dave Gosney writes: 'In the last 12 months Ive been back to Portugal 3 times, checking and re-checking the information in my previous book, trying out new sites and, of course, filming the birds for the accompanying DVD. As a result I have re-written the original book and re-drawn the maps making it more up-to-date and more detailed than ever. Anyone going to the Algarve can use this book to help them find more birds - and birders who want to explore the areas around Lisbon will find this book invaluable too'. The Tejo estuary - right next to Lisbon and yet home to thousands of birds in winter. Barroca DAlva - the best place for finding exotic species such as Yellow-crowned Bishop, Black-headed weaver and Common Waxbill. The Sado estuary - find out where to see hundreds of Glossy Ibis and raptors such as Black-shouldered Kite. Santo Andre Lagoons - great birdwatching area with wetlands full of birds. The Sagres peninsula - including advice on how to make the most of the seabird and raptor passage, including the best pelagic trips in Europe. The Alvor estuary - a great place for waders, gulls and migrants. Lagoa de Salgado - the best freshwater wetland in the Algarve, teeming with birds in the autumn. Vilamoura - superb hides get you really close to Purple Gallinules and Little Bitterns. Ria Formosa west - the area west of Faro, great for estuarine birds and with superb pools at Quinto do Lago and Ludo Farm. Ria Formosa east - east of Faro, Quinta do Marim is a reserve with terrific hides and Tarifa is superb for gulls and other wetland species. Castro Marim - find out exactly where to stand for Lesser Short-toed Lark and Spectacled Warbler. Castro Verde plains - one of the best birding sites in Europe. Find out where to get the best views of Great and Little Bustard, Black-bellied Sandgrouse, Black-shouldered Kite, Montagus Harrier and Spanish Imperial Eagle. Elvas - another great site for bustards but also exceptionally reliable for Black-shouldered Kite.